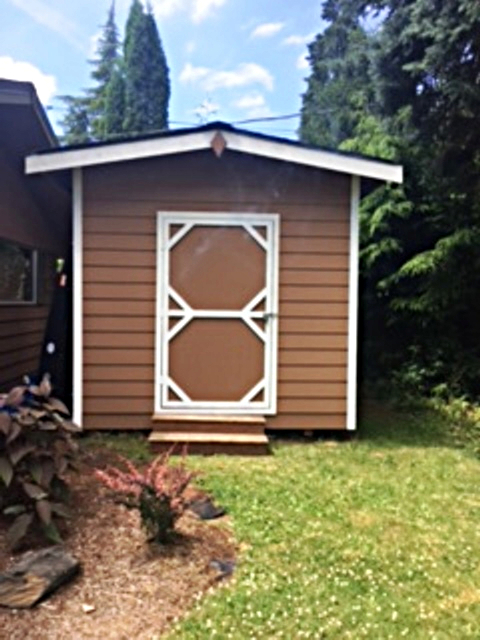 Custom build a storage shed. Referral from someone we knew. I love it! I am so happy! They did a great job. They were timely and got it done exactly as promised. I needed storage space – more than I had in my garage – to store some large items like a washer and dryer, and furniture left to me by my mother. 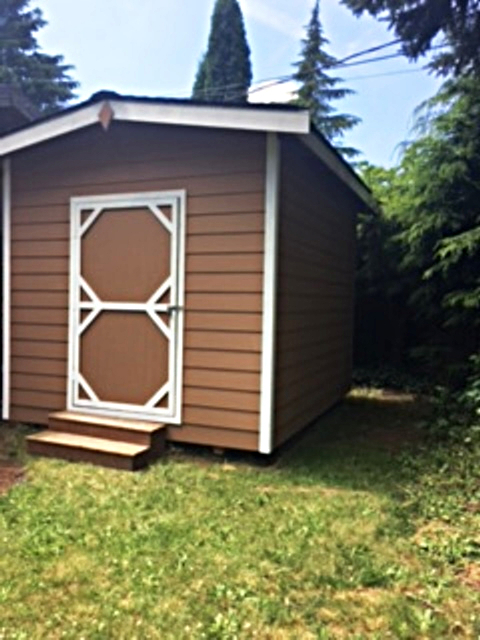 My husband and I looked at a LOT of prefab sheds at Lowes and Home Depot, but couldn’t find what we wanted. So we decided to hire a contractor to custom build a storage shed. Someone we knew referred ACS; we met with them, liked them, and thought they had done great work for our friend, so we chose them. I had a basic concept, especially after seeing so many, and I worked with ACS to develop the plan. Ryan, the owner, was really good about making suggestions about the best way to do things and why. He gave me a lot of information, then let me decide what was important. They did a really, really good job. It’s so much nicer than anything else I have seen. I feel the construction will last forever. Foundation. You might want a concrete foundation for extra strength. I decided not to build a foundation because it would be a lot more expensive. But we put the shed up on concrete blocks, so it’s off the ground. Weather protection. Make sure your shed is watertight to protect your possessions from moisture. Electricity. You can run electricity into your shed. I didn’t feel the need but Ryan did recommend using an outdoor extension cord to hang a little portable lightbulb inside during the winter. Just that tiny bit of heat will help prevent mold by keeping out humidity. Access. You can have a ramp built if you want to put in heavy things. We just needed steps, which were not included in the cost. Ryan had actually torn them off another project. They would have just gone to the dump so he just threw them in for free. Quality of construction. This is very important. We got good materials and the construction was done properly, unlike most of the prefabricated sheds, which are built so poorly they’ll only last a year or two. A Great Contractor Will Guide You In Remodel Decisions That Work by Lisa D.
Neglecting a Leak Led to a Roof Replacement by Lisa S.